WTS/WTT Sig Sauer P229 9mm new cond. Discussion in 'WTS/WTT Handguns' started by Bearman46, Apr 5, 2019. 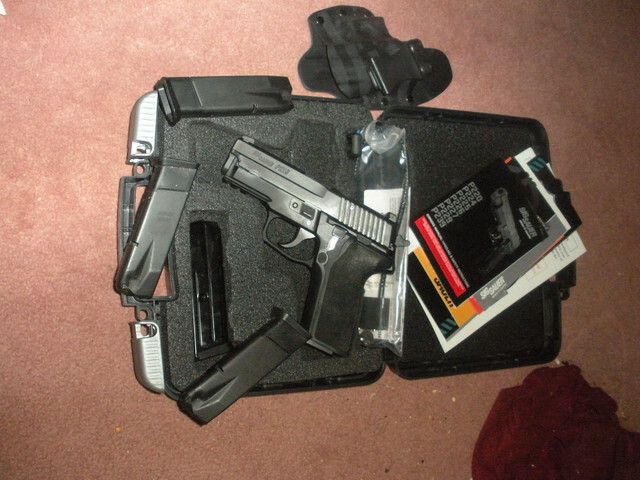 Description : Sig P229 only 100 rounds or so, only a few months old w/ Case and in case documents still sealed lock. Selling Terms : FTF FFL might consider trade for gen 2 or 3 glock of similar worth or Glock plus money only. Depends on the gun.